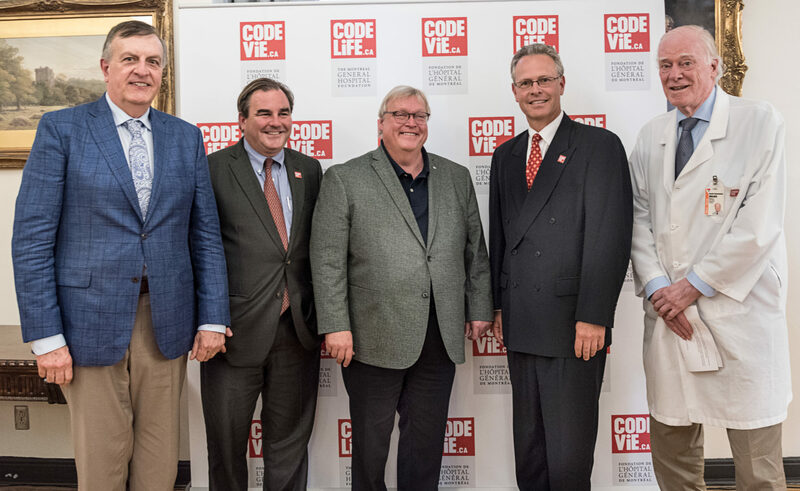 The Montreal General Hospital Foundation is delighted with the announcement made today by Quebec Health Minister Gaétan Barrette, giving the green light to study the project to modernize the Montreal General Hospital (MGH). This major project, estimated at a maximum of $300-million, focuses on modernizing the operating rooms, the Emergency Department and the Medical Device Reprocessing Unit. It is officially part of the Quebec Infrastructure Plan (QIP). “Our Foundation’s role is to represent our donors’ wishes and ensure the money is well spent by working together with the government and the institution to maintain excellence in healthcare for the whole community. Therefore, the Montreal General Hospital Foundation will support this important modernization project with an investment of $30-million. ” says Andrew Molson, Chairman of the Foundation’s Board of Directors. “We are thrilled with this news and are proud to play a key role in ensuring excellence in patient care, thanks to the generosity and trust of our donors,” says Jean-Guy Gourdeau, President and CEO of the Montreal General Hospital Foundation. With the construction of the new Glen site of the McGill University Health Centre (MUHC) completed, it’s imperative to invest in renovating the MGH, where several operating rooms date back to the 1960s and require upgrading to meet the highest standards of excellence. As a facility that provides specialized healthcare services, the MGH receives a large number of patients in need of vital care. In 2017, approximately 9,500 operating room visits and more than 35,000 emergency room visits were recorded. Furthermore, the MGH houses the Dr. David S. Mulder Trauma Centre, one of three tertiary level adult trauma centres in Quebec, which receives more than 1,500 patients each year. These patients include victims of falls, crimes and road accidents (drivers, cyclists and pedestrians), who have the most complex and serious injuries that cannot be treated at other hospitals within its territory. The Trauma Centre serves the area south of Highway 40, Montérégie and Northern Quebec, including the Cree and Inuit communities — a territory with a population of over two million. “Given the MGH’s vital role in providing tertiary and quaternary care for the MUHC, it is essential that we maintain our infrastructure to the highest standard of quality and performance, so we have the work space needed to treat patients requiring critical care, especially with our trauma mission,” says Dr. Pierre Gfeller, President and Executive Director of the MUHC.